"We found that when you consume walnuts it increases microbes that produce butyrate, a beneficial metabolite for colonic health. 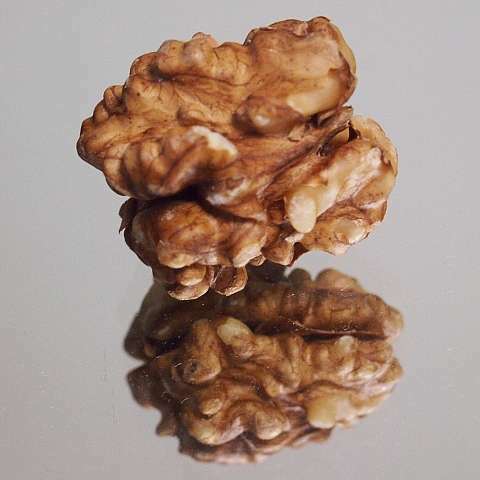 So the interaction of walnuts with the microbiome is helping to produce some of those health effects," says Hannah Holscher, assistant professor of food science and human nutrition at U of I, and lead author of the study. "It is about getting to the 'black box' that is all the microbes in our GI tract to see how they are interfacing with the food we eat and having downstream health effects. "Some of those health effects are hypothesized to be related to the metabolites bacteria produce," she adds. "The microbes that increased in relative abundance in this walnut study are from one of the Clostridium clusters of microbes, and there's increased interest in those because they have the ability to make butyrate," Holscher says. "Unfortunately in this study we didn't measure butyrate, so we can't say that just because these microbes increased that butyrate did increase. We still need to answer that question. "There is a lot of interest in Faecalibacterium because it has also been shown in animals to reduce inflammation. Animals with higher amounts also have better insulin sensitivity. There is also growing interest in Faecalibacterium as a potential probiotic bacteria, and so we are trying to follow up on foods that help support Faecalibacterium." The findings also show, with walnut consumption, a reduction in secondary bile acids compared to the control. "Secondary bile acids have been shown to be higher in individuals with higher rates of colorectal cancer," Holscher explains. "Secondary bile acids can be damaging to cells within the GI tract, and microbes make those secondary bile acids. If we can reduce secondary bile acids in the gut, it may also help with human health." "When you do calculations to determine how much energy we predicted we would get from eating walnuts, it didn't line up with the energy that was absorbed," Holscher says. "You're really only absorbing around 80 percent of the energy from walnuts that labels say. That means that the microbes get access to that extra 20 percent of calories and the fats and fiber left in them, and so what happens then? Does it produce a positive health outcome, or a negative health outcome? Our study provides initial findings that suggest that the interactions of microbes with the undigested walnut components are producing positive outcomes. "We need more research to look at additional microbial metabolites and how those are influencing health outcomes, instead of just characterizing the changes in the microbiome," Holscher says. Walnuts are also high in polyunsaturated fats, which decrease fasting ghrelin (hunger hormone).